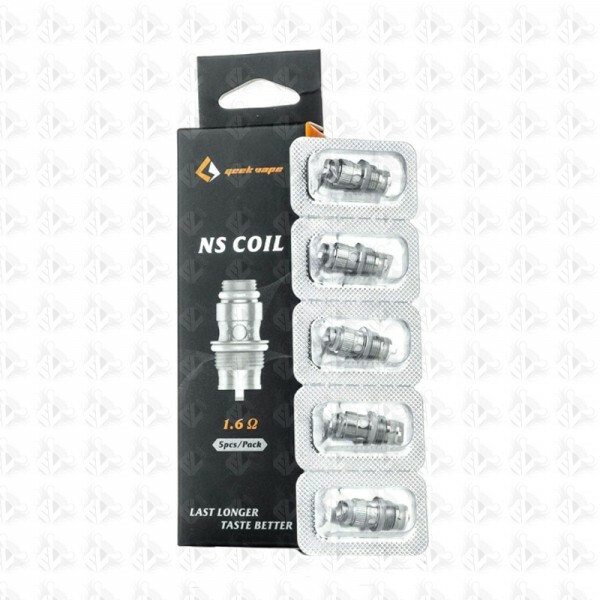 The Geekvape NS replacement Coil packs come in a pack of 5 coils. These are designed to fit in the Geekvape Flint All in One Starter Kit. These coils are made for the Flint All-In-One Starter Kit and utilize mesh heating technology and medical grade, organic Egyptian cotton.